All too often, travelers pass through Cambodia and only visit the Angkor temples and possibly stay a day or two in Phnom Penh as a transit stop. What these hasty tourists don’t know is that they’re missing so much of what Cambodia has to offer – gorgeous greenery, picturesque coasts, tangled jungles, colorful markets. 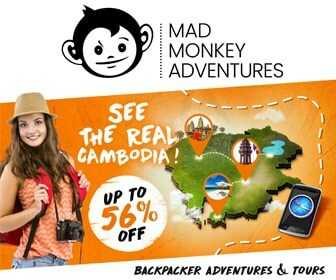 We know the bigger cities are what brought you to Cambodia, but it’s the smaller towns that will keep you coming back. 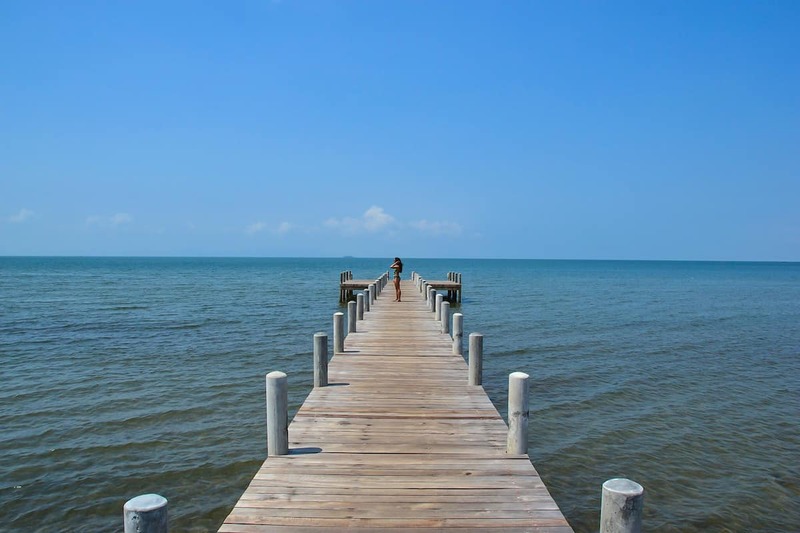 We could all use some Vitamin Sea every now and then – when you’re in Cambodia, Kep is the perfect place to get your fix! Situated on the coast just a quick 30ish minutes from Kampot, Kep is also barely a stone’s throw from the Vietnam border. Not only does this little town have a beautiful, warm sea to dive into, but there’s a jungle as well, waiting to be explored. 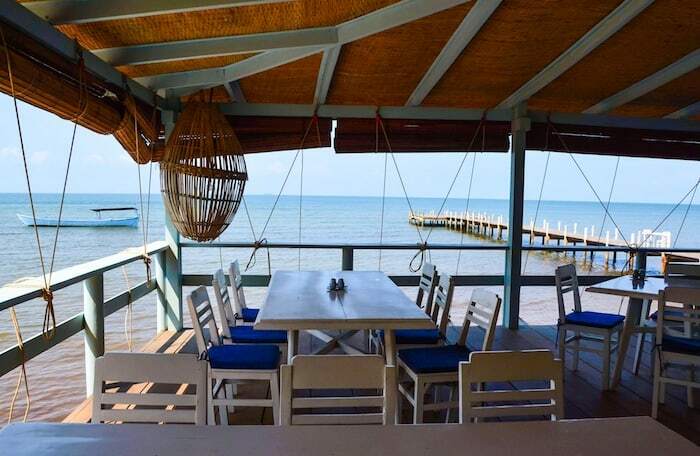 If you’re a foodie, you’re in luck – Kep has some of the freshest seafood you’ll ever eat. 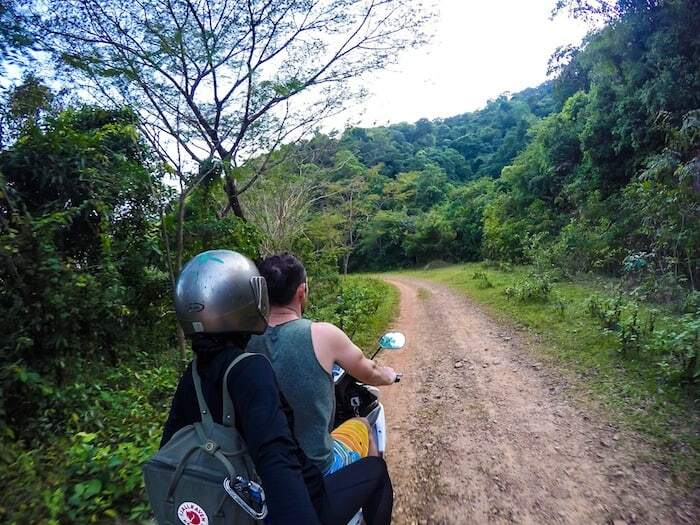 Pack your bags now, you’ll be wanting to jump on a motorbike and head to Kep by the end of this article! Originally a seaside resort town for the French in the early 20th century, Kep was once a holiday destination for the elite and rich. After years of civil war and neglect, many of the French holiday villas still remain; abandoned or stripped down. 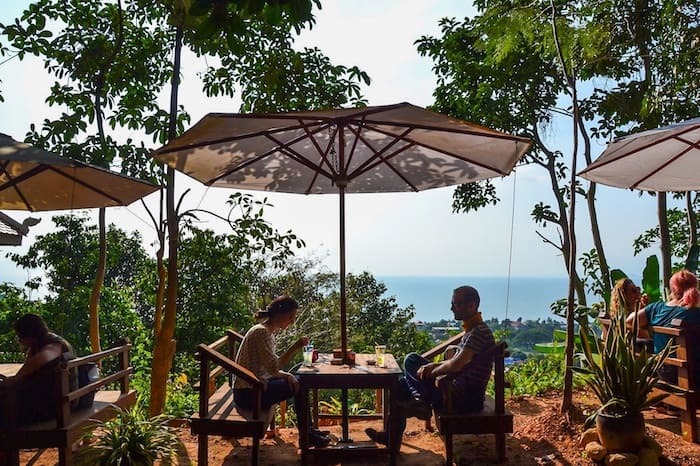 In recent years, Kep has begun to flourish again as travelers and tourists have rediscovered this charming little coastal town. 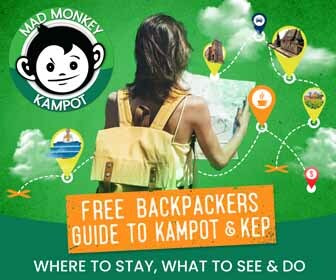 Motorbike: The most convenient way to get to Kep is by motorbike. 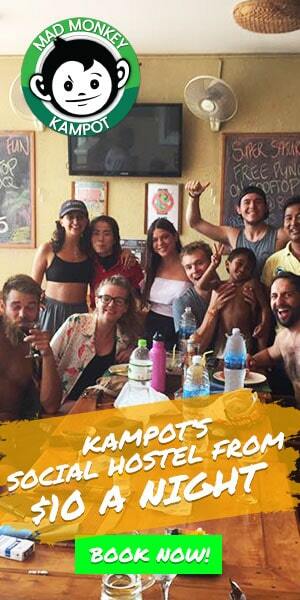 Only 25 kilometers away on a nicely paved road, Kep is a pleasant 40 minute drive from Kampot. You can rent a motorbike from numerous places in Kampot for around $6/day – for information on how to rent a moto from Mad Monkey, go here. Tuk-tuk: Taking a tuk-tuk to Kep from Kampot will cost you at least $15 for one way and $20 return (excellent opportunity to work on your haggling skills!). Moto-taxi: Jump on the back of a moto for about $5-$6 (one way). Taxi: A private taxi will cost around $25 for one way or $40 return – ask your hotel/hostel to help you book. 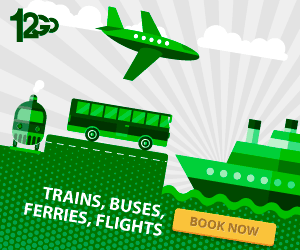 Mini-Bus: You can book a bus with Kep Tours and Travel for $3 (one way). For bus times, go here. Boat: If you’re looking for a more adventurous route, take the Crab Shuttle. 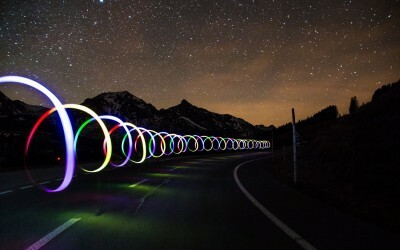 This 2 hour journey will cost $13.50 (roundtrip) and easily has the best views of the lot. Ask your hotel/hostel to help you book. 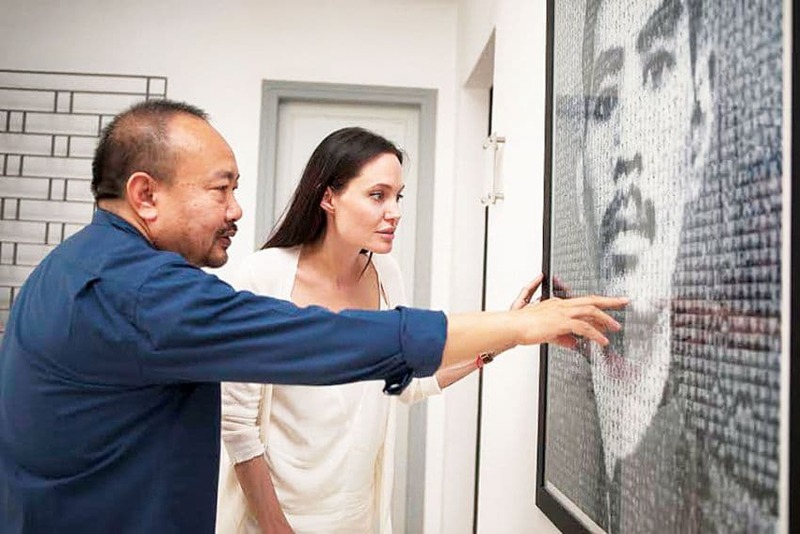 Guesthouses and resorts are now plentiful in Kep. 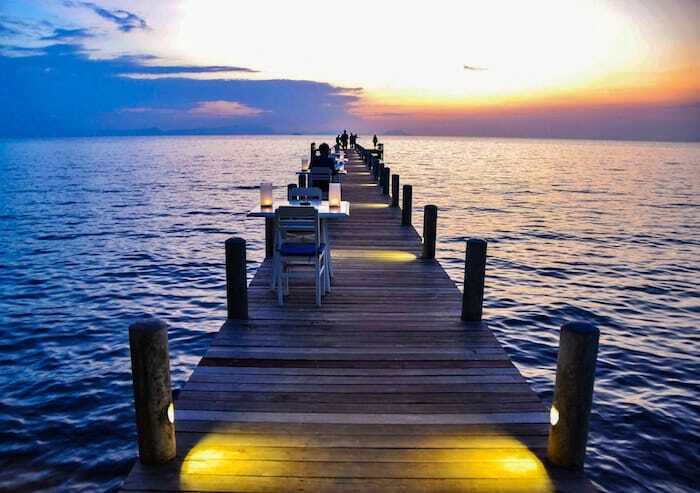 Whether you’re a solo traveler on a budget, or if you want to splurge during your beach holiday – Kep has got a wealth of options. For those looking for a more homey experience, you’re sure to find what you’re looking for on Airbnb. 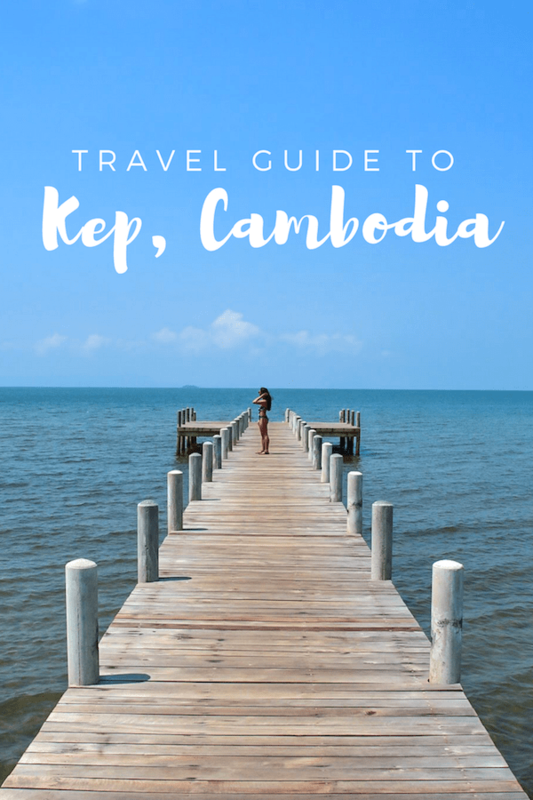 And if Kep is going to be more of a day trip for you, Kampot is only 30 minutes away, making this beach town easily accessible. 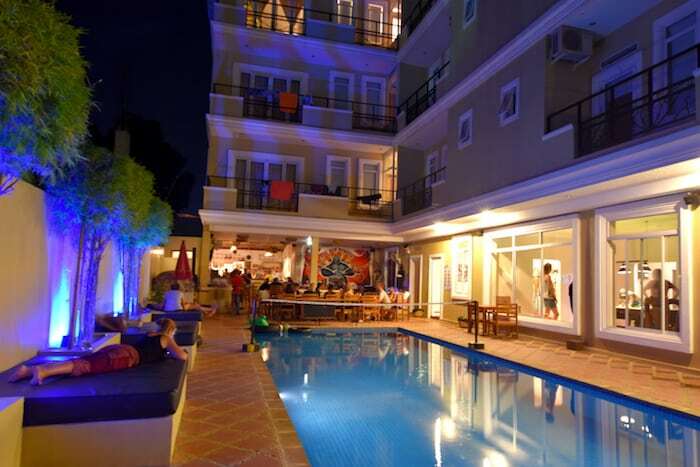 *To book at Mad Monkey Kampot, go here. You get the best rates, and priority booking, when you book through our website! 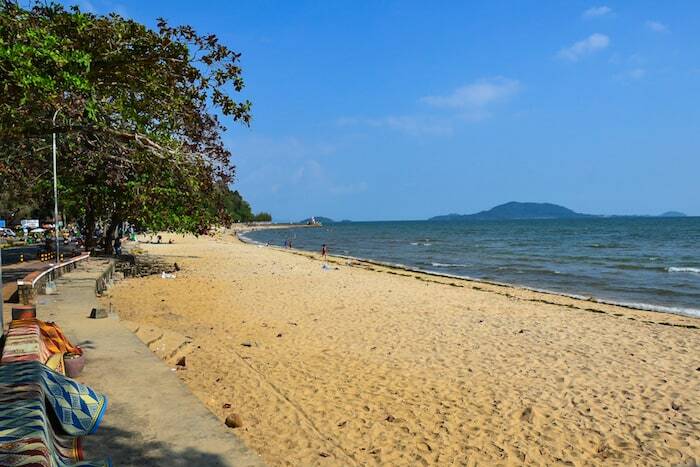 Make sure you take some time to relax on the sand when you visit Kep. This kilometer-long stretch of beach has tons of seafood vendors and dining options lined up behind the sand to ensure you’ve got everything you need while basking in the sun. Go earlier in the day to avoid the crowds and make sure to bring some chairs or blankets to lay on. Bring food to have a picnic or choose from one of the seafood vendors just steps away. Once you’ve had your dose of beach-lazing, head to the Sailing Club to relax in style. Have a bite in the modern restaurant overlooking the water and make sure to take photos on their beautiful pier. You can rent stand-up paddle boards, kayaks, hobie cats, dinghies or mountain bikes if you want to be a bit more active. 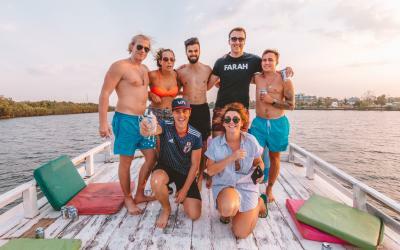 Spend the afternoon on the water, soaking up the sun and then grab a Kampot Cider at the Club afterwards while playing a game of pool or beach volleyball. Welcome to the seafood lover’s heaven! 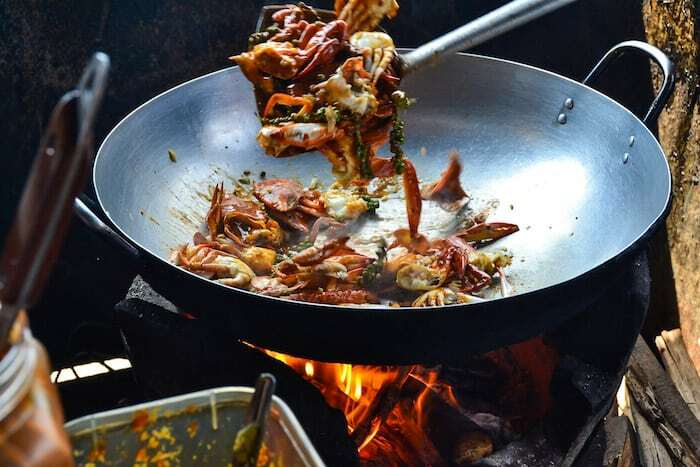 This market sits right on the water so you can eat crab caught literally moments before. They’ll fetch the crab cages out of the ocean, choose however many crabs you want (which, bee tee dub, are still alive and scuttling about), and then chop them in half right in front of you, before throwing them in a pan of peppery-saucey-goodness. 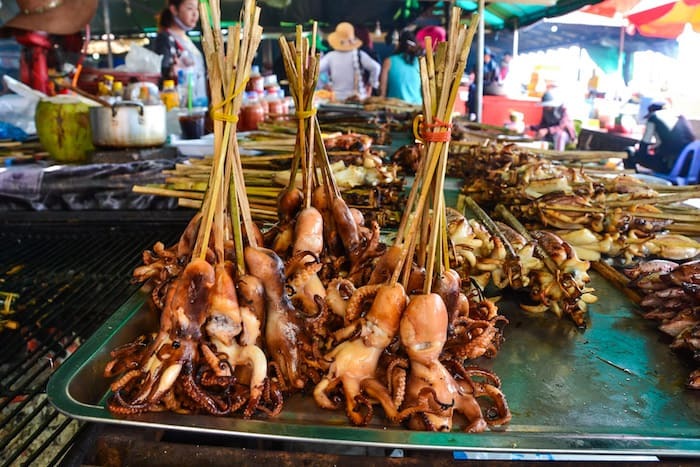 No crab-crackers or utensils are given at this market, so you’ll spend a fair amount of time eating your way through your pile of crab (watch out for those sharp claws!) Luckily, you’ve got a beautiful ocean view where you can watch more crabs being reeled in, soon to be somebody else’s delicious meal. If you aren’t into crabs (*gasp*), there are also an assortment of other types of seafood and non-seafood you can choose from. For the photographers out there, the tables and buckets of live, grilled, or soon-to-be-cooked seafood is reason enough to come here. If you really want to disconnect, take a 30 minute boat ride from Kep Pier to Koh Tonsay, or Rabbit Island. This off-the-grid paradise will fulfill all of your deserted island dreams. Rabbit island is 2 square kilometers, most of which you’ll have to yourself, especially if you outstay the day trippers and spend the night in one of the beach bungalows. Walk around the entire island in about 2 hours, laze away in a hammock or go for an evening swim with the glowing bio-luminescent plankton. If you’re too sunburnt to continue laying on the beach or kayaking around the ocean, jump on your motorbike and head to Kep National Park. There’s an 8 kilometer path that loops around the mountain, boasting beautiful ocean vistas. You can trek or motorbike through, depending on how lazy you are, but be warned – you’ll be motorbiking over a dirt path full of rocks. Stop at Led Zep to quench your thirst and then continue on the path where you can find a butterfly house, waterfall, epic viewpoints and friendly monkeys. Make sure you stay in Kep long enough to enjoy an epic sunset. Relax on the sand with a cold beer or head back to the Sailing Club to lounge at the end of the pier. There’s nothing better than watching the mix of blue, purple and gold hues shimmering off the water as the sun sets on a perfect day in Kep. 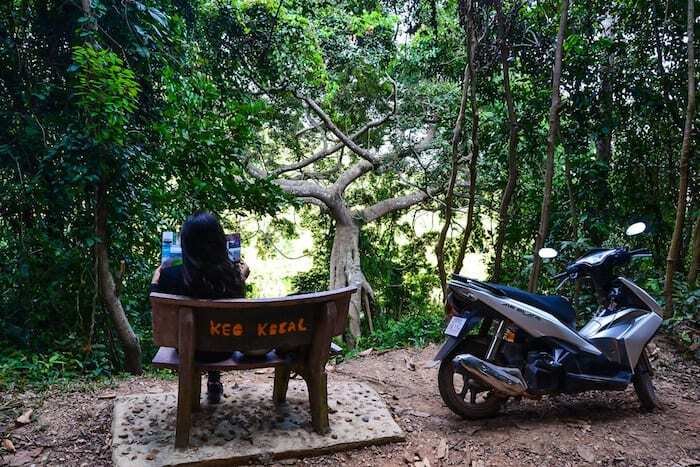 If you want to discover even more of Kep, check out these articles that will help you plan your trip! 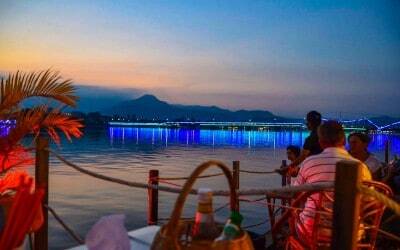 If you’ll be visiting Kampot as well, check out our list of the top things to do in this riverside town!